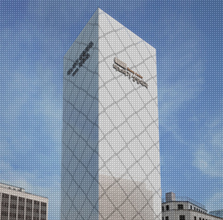 This is How BANOBAGI does. 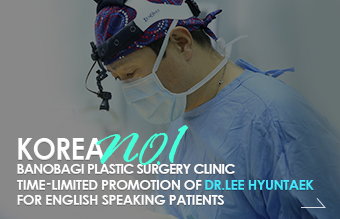 Dr. Lee Kyoung Ku is a professional hair transplant specialist who has been operating the procedure more than 3,000 times. 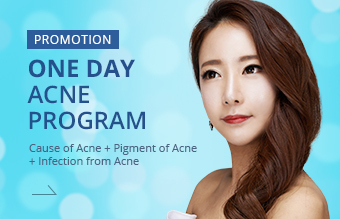 He continuously studies and researches on how to lead a better result in more natural and sophisticated ways and also how to maintain the result. 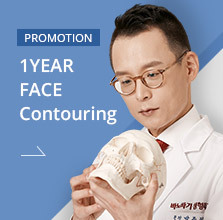 We recommend to share your concern regarding hair transplant through face to face consultation with Dr. Lee Kyoung Ku. You will be able to experience a high quality hair transplantation by Dr. Lee Kyoung Ku with his experienced staffs and skillful technique. It is rather how to transplant than how to extract the hair. It is often asked whether incisional or non-incisional method is better for hair transplant. Expectation of the patient should be asked first before asking whether hair transplantation should be done through incisional or non-incisional method. Because the only difference is how the hair is extracted which does not affect the result of an experienced specialist. 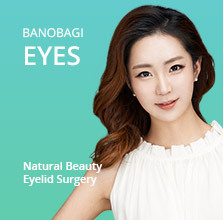 BANOBAGI focuses on how it’s transplanted rather than how it’s extracted. 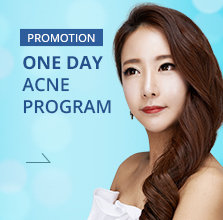 We fully explain the advantages and disadvantages of both incisional and non-incisional methods then recommend the best suitable method for individual need and better result. even though same amount of hair is extracted. The core technique of hair transplant is how to transplant the extracted hair, which means how to relocate the hair. Individual hair condition, thickness, and density are all different. Relocating the hair more natural and elaborately should be done after diagnosing through these specific conditions. 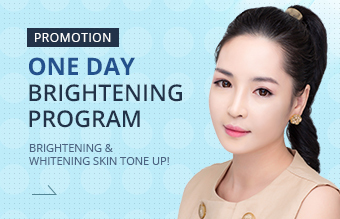 Our experienced specialists and staffs create a more natural and fuller result. Post-operative care to engraft healthy. There are many patients who are hesitating to get hair transplant worrying about the result of engraftment. Hair transplant is only the start of hair loss treatment, so worrying about hair transplant is not necessary at this stage. 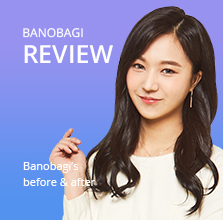 BANOBAGI provides the best post-operative treatment with know-hows and skills of 19 years of experiences for the best result including stem-cell treatment by using stem-cell extraction and separation procedures done at our in-house stem cell center. Hair transplant is the surgery that transplants hair follicles, not the hair. Hair transplant procedure is separating follicles after extracting it. 3 hair from 1 follicle may grow. It is best to focus on how many follicles are transplanted rather than how many hairs have been transplanted. When it is said 2,000 hair transplant, clarifying whether it is 2,000 of follicles or hair is important. 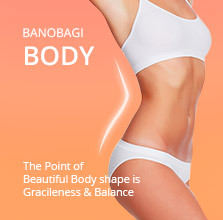 BANOBAGI clearly communicate with the patients and expect surgery result because we provide consultation and operation with follicle unit. 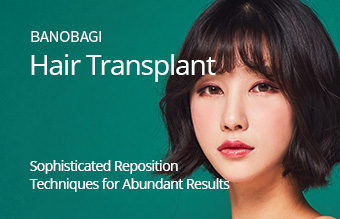 The transplant technique that considers facial shape & balance and hair angle & density. 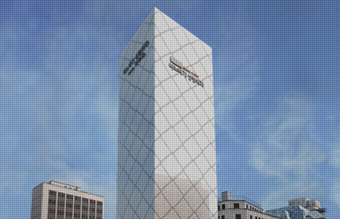 The reason why the result by experienced specialist is different is because a single possible consideration in detail for the best result is not missed. 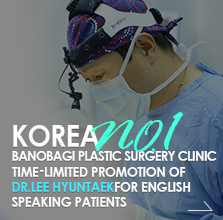 BANOBAGI promises a detailed result by skillful and experienced Dr. Lee Kyoung Ku and medical staffs in every steps of the whole procedure including consultation, extraction, transplant, and post-operative treatment. 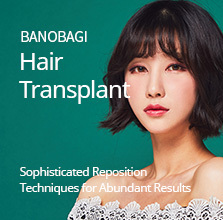 The technique of customized recommendation designed for individual facial shape and thorough consideration of density, angle, and depth of hair follicles is the pride of BANOBAGI’s Hair Transplant specialized team.